After the swift and ubiquitous adoption of social networking sites like Facebook and Twitter among consumers, many businesses have been moving to recreate some of that success within their enterprise. 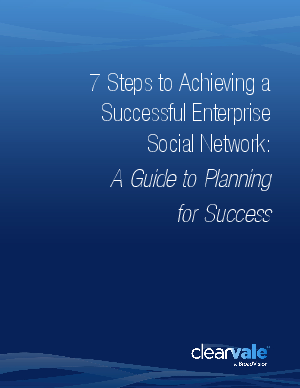 Enterprise Social Networks are the result. The goal of these networks is to leverage social communication and sharing to increase collaboration and productivity with customers, partners, and employees. This guide identifies some of the pitfalls to avoid when making this social business transformation, and gives a step-by-step adoption process for those wanting to explore how an ESN supports and enables collaboration and real work in the enterprise.